As well as Pain News and the British Journal of Pain, the British Pain Society aims to produce contemporary guidance, supported by available evidence, on clinical and other pain matters. Documents are updated three yearly to incorporate relevant new information. The following British Pain Society publications are available to download in PDF format. The British Pain Society have launched a set of recommended Outcome Measures, designed to assess and drive up the quality of patient care. A joint project between the BPS and The Faculty of Pain Medicine of the Royal College of Anaesthetists (FPM), the document offers valuable guidance on available outcome measures used by pain services. 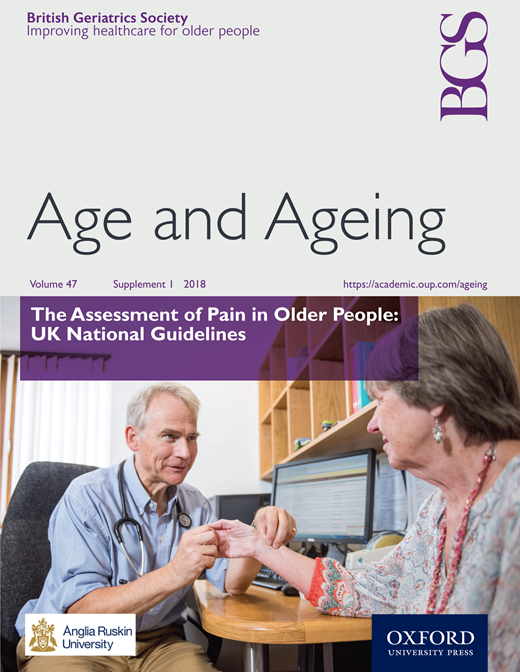 The British Pain Society along with the British Geriatrics Society and the Royal College of Nursing have produced new guidelines for assessing pain in older adults. You can read this in the latest copy of Age and Ageing. This interprofessional guide contains core curriculum outcomes for pain education with advice and examples of how to implement this in practice. This update aims to include recent evidence base of ITDD use in pain and spasticity, address the issues of drug pump compatibility following the latest manufacturer/MHRA recommendations as well as provide an update on the indications and complication management particularly endocrine complications and intrathecal granuloma formation. treating pain and spasms - Information for patients'. (Please go to the patient publications section to view a copy). 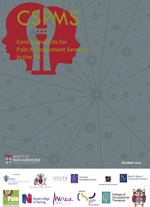 The Faculty of Pain Medicine has proudly launched Core Standards for Pain Management Services in the UK. CSPMS is a collaborative multidisciplinary publication providing a robust reference source for the planning and delivery of Pain Management Services in the United Kingdom. It is designed to provide a framework for standard setting in the provision of Pain Management Services for Healthcare professionals, commissioners and other stakeholders to optimise the care of our patients. This is a joint British Pain Society and Faculty of Pain Medicine of the Royal College of Anaesthetists publication. An evidence-based review prepared on behalf of the British Pain Society. 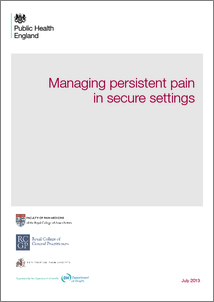 This publication includes the information pamphlet Participant Information for Pain Management Programmes. (Please go to the patient publications section to view a copy). A guide for professionals working in custody settings, to support best practice in diagnosing, assessing and managing the symptoms of persistent pain among prisoners, published by Public Health England (PHE). 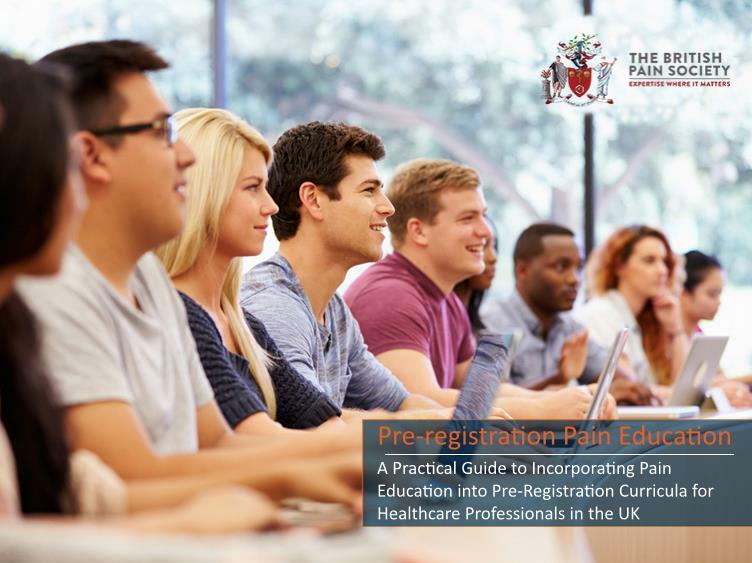 The guide has been written in association with the Faculty of Pain Medicine of the Royal College of Anaesthetists, the Royal College of General Practitioners and the British Pain Society, and is supported by the Department of Health. Management of Pain in Older People, is an evidence-based clinical guideline published jointly by the British Pain Society and the British Geriatrics Society. 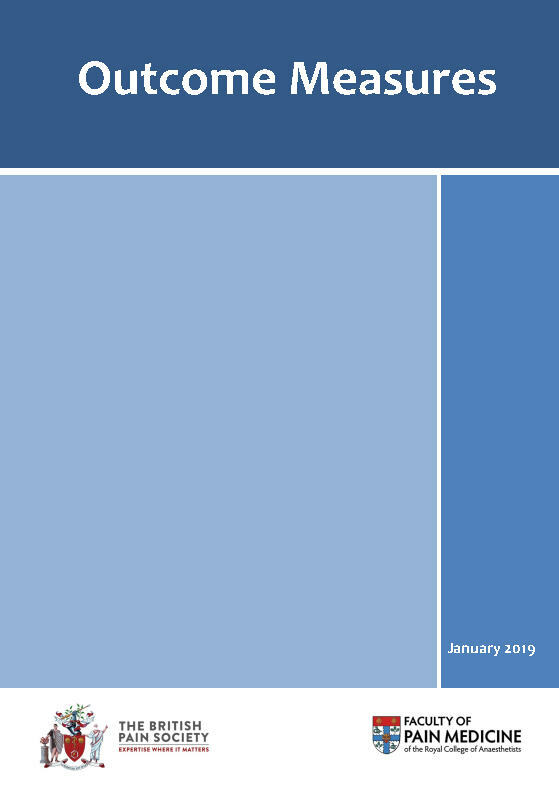 This document summarises the views of the Association for Palliative Medicine (APM) and the British Pain Society in relation to the use of drugs outside of their UK marketing authorisation beyond their product licence in clinical practice. The publication has recently been reviewed in accordance with the Society’s publication review policy. This publication includes the information pamphlet Use of medicines outside of their UK marketing authorisation in pain management and palliative medicine - information for patients. (Please go to the patient publications section to view a copy). 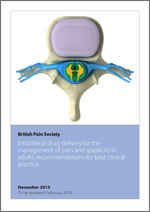 These recommendations have been prepared by a working party led by the Faculty of Pain Medicine of the RCoA with representation from The Royal College of Anaesthetists, the Royal College of Nursing, the Association of Anaesthetists of Great Britain and Ireland, the British Pain Society the European Society of Regional Anaesthesia and Pain Therapy and the Association of Paediatric Anaesthetists of Great Britain and Ireland. A perspective from the British Pain Society, supported by the Association for Palliative Medicine and the Royal College of General Practitioners. This publication includes the information pamphlet Managing Cancer Pain - information for patients. (Please go to the patient publications section to view a copy). This consensus document, produced in conjunction with the Society of British Neurological Surgeons, clarifies the rationale for the use of spinal cord stimulation for pain, gives guidance regarding patient selection, and makes recommendations regarding the context in which therapy should be delivered. This publication includes the information pamphlet Spinal cord stimulation for pain - Information for patients. (Please go to the patient publications section to view a copy). These guidelines were launched, with cardiology, respiratory, older person, diabetes at a Department of Health meeting on Wednesday 17th September 2008. A joint publication produced by the Royal College of Physicians, the British Geriatrics Society and the BPS. A copy of the full report can be found on the British Geriatrics Society website by clicking here. Copies of this document are available to downloaded free of charge by clicking the image. This publication includes the information pamphlet Pain and problem drug use - information for patients (please go to the patient pages in the publication section).